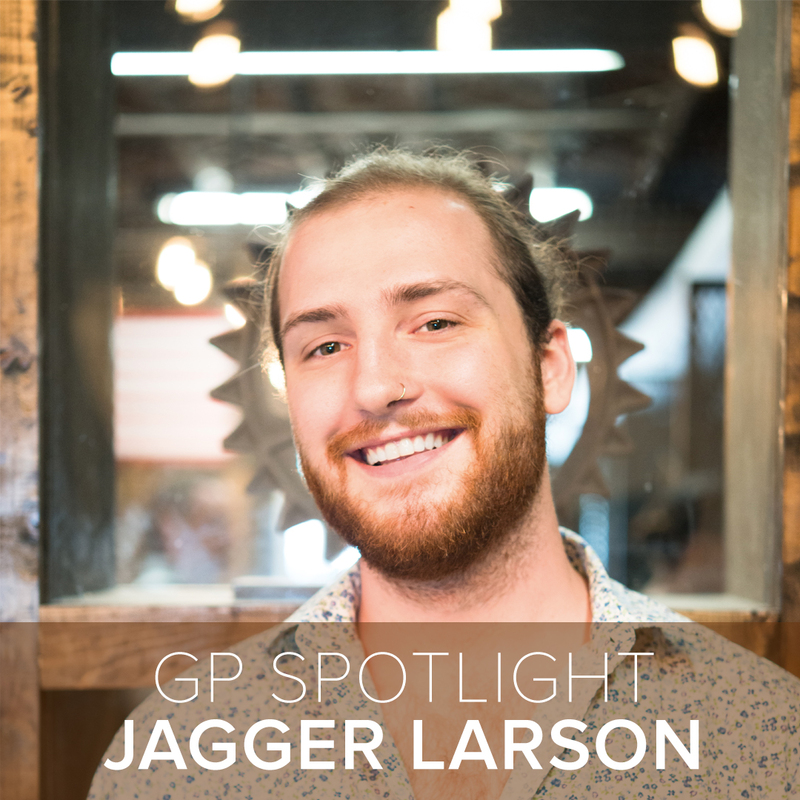 Chances are you’ve seen Jagger’s smiling face as he greets you at the front door or pours you the perfect cup of coffee. He’s our newest community ambassador and member of the GP community. Let’s get to know him a bit more. It seems like there would be a story behind being named Jagger, can you share? My mother, being the music appreciator that she is, named me entirely after composers. My full name is Jagger Ravel Wolfegang Larson. So Mick Jagger, Maurice Ravel, and Wolfegang Amadeus Mozart (altered spelling). I was surprised (and delighted) to learn that you are a master at baking. For last week’s member lunch you made us a cake with basil mascarpone. What’s next on your baking bucket list? I would really love to overcome the difficulties that come with creating macarons. They’re notoriously difficult, but so rewarding. What are you up to when you’re not at GP? I watch a lot of Netflix, and put ridiculous amounts of miles on my motorcycle. There is nothing better than to go riding for a few hours, feeling the wind blow your hair like wild, and then to finish the day off by resting in bed and watching episode after episode of Daredevil. It seems like you’re catching the startup bug by being around so many entrepreneurial folks. What’s inspiring you lately? You’re also a pretty skilled barista (you may have seen Jagger at Brew). What’s the secret to a perfect cup of coffee? I’m afraid I can’t tell you that. Dan would kill me. Anything else we should know about you, Jag? I enjoy long walks on the beach while watching the sun set on the horizon. I also love bird watching on quiet sunday mornings while indulging in apple flavoured crepes. Are you ready to be a part of our eclectic community? Click below to join GP!